July 26, 2008. 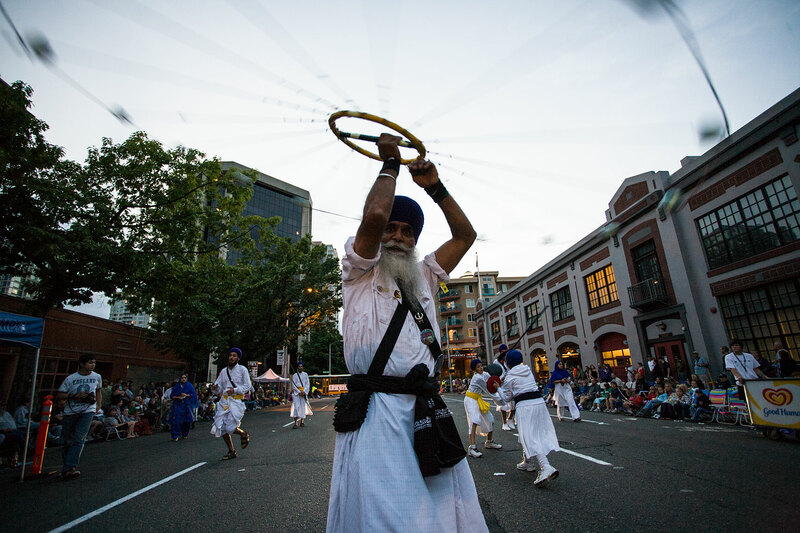 A Sikh spins the Chakar on 4th avenue in downtown Seattle. "Chakar" is a weapons used in Gatka, an ancient martial art. Thousands of people take part in Annual Southwest Airlines torchlight parade in downtown Seattle.